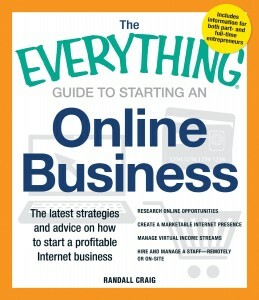 The Everything Guide to Starting an Online Business: From developing an idea to sharing it with the world, this expert manual provides information on: Determining what kind of business to create, developing a smart business plan and online presence, transitioning from brick and mortar to the virtual world, using vendor sites like Etsy, promoting the business with social media, and more. 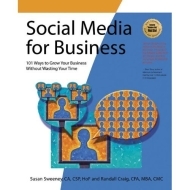 Social Media for Business – 101 Ways to Grow your Business without wasting your time: This softcover book provides specific strategies and tactics that focus on building business. 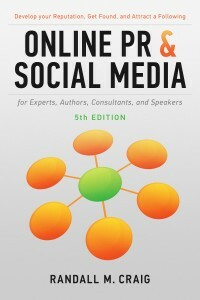 In addition to marketing and PR, it addresses recruiting, risk management, cost, ROI, and other key business issues. Managers will learn how to save time and develop a weekly checklist of social-media priorities, attract the right job candidates, and help improve customer satisfaction and brand loyalty. Little known fact: this book actually provides 157 ways to grow your business, not 101 as it states on the cover. 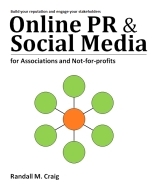 Online PR and Social Media series: these books addresses two issues: Efficiency, and Risk mitigation. They describe a clear strategy, and then step-by-step instructions on implementing the strategy. There are two books in the series: one for individuals, and one for Associations/Not-for-Profits. Personal Balance Sheet: While the book does describe some of the concepts from my Social Media presentations (eg Price/Expertise/Trust model, Give to Get, etc), it is more focused on real-world networking in the context of developing a successful career or business. In addition to the above, I have a series of recorded Pro Briefings on a number of related subjects. Please visit the Knowledge to Action Press store to purchase these or any of my other learning resources.